Seatec, the only exhibition in Italy entirely dedicated to the nautical supply sector, was organised in Marina di Carrara, Italy, from 29 to 31 March. Cramm was there to showcase our rich range of products to the many local and international visitors. Last week, the beautiful Tuscan coast was the charming backdrop for the fifteenth edition of Seatec, an annual international exhibition for technology, subcontracting and design for boats, yachts and ships. Held in Marina di Carrara, this show is a major rendezvous for all professionals in the field who are interested in discovering the best the industry has to offer. Organised by CarraraFiere, this year’s edition of Seatec was devoted to ‘New and Wider Horizons’, with special thematic focus on environmental sustainability, the naval sector and boating for people with disabilities. Seatec 2017 also featured several awards, including the Qualitec Technology and Qualitec Design Awards, reserved to products on display, and the Myda, dedicated to nautical design. Our presence at Seatec was organised at the stand of our Italian agent Pharo. The participation was highly successful, resulting in good leads and contacts with both existing and new business partners. Kom ook naar Amsterdam van 19 tot 21 november! Blijf up-to-date door je aan te melden voor onze nieuwsbrief voor informatie over aankomende evenementen, laatste productontwikkeling, reviews en projecten. Wij houden u op een maandelijkse basis op de hoogte van wat er hier bij Cramm gebeurt! 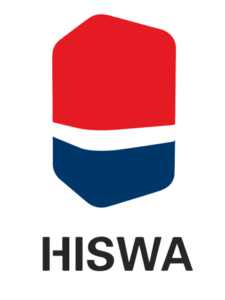 Cramm is lid van de HISWA Holland Yachting Group (HYG) en Netherlands Maritime Technology, deze groep heeft de top van de Nederlandse jachtbouwindustrie verenigd. Niet iedereen kan zomaar lid worden en een lidmaatschap fungeert daarom voor de klant als een keurmerk voor de allerbeste kwaliteit op de internationale markt van de superjachtbouw.